We’ve told stories on this blog before about treasure hunters who have found gold buried underground, in shipwrecks and even hidden in old houses. We have another story to share with you today, and a video too. It shows underwater treasure hunters pulling gold coins from the sand where a Spanish ship sank off the coast of Florida in 1715. The find was reportedly worth $1 million. That’s exciting, but have you stopped to think that gold can be found underwater in other locations too – in places you don’t need a boat or scuba gear to explore? That’s what we’re going to write about today. Here are three wet places where you stand a good chance of finding gold. 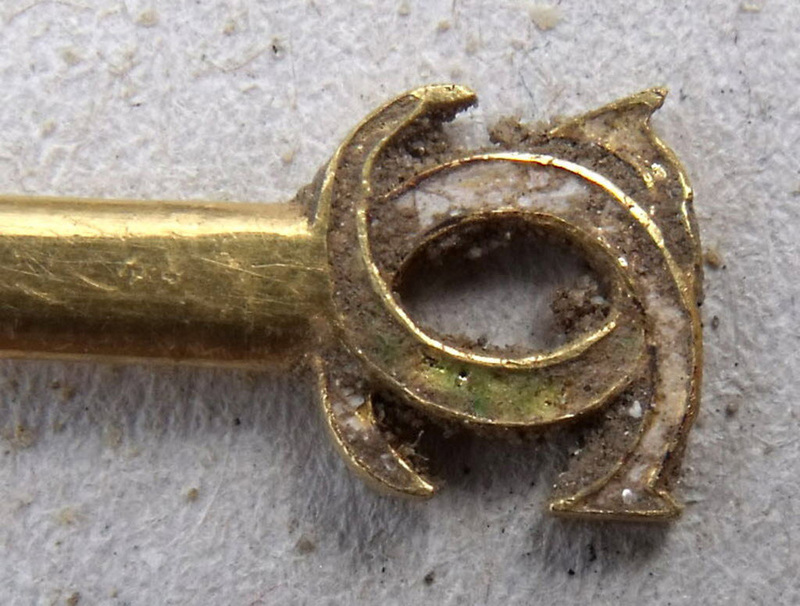 A 4” long gold hairpin once owned by Catherine De Medici was recently found lodged in a communal toilet during an excavation of one of the buildings in a courtyard in the Fontainebleau palace outside of Paris. In the cesspit below the latrine, they also found a gold Virgin Mary medal and a jeweled cross. Close-up photo of the 4" long hairpin that once belonged to Catherine De Medici and was found while excavating a latrine at Fontainebleau. Credit: AP. Chances are that you are not going to look down drains near you and find gold that once belonged to royalty, but you just might find gold earrings, gold shirt studs and small gold items that can be worth more than you expect. Here’s a story that proves the point. When an apartment building in New Jersey was being renovated about 10 years ago, the owners of the building tore out more than 40 old sinks and threw them in an alley. Some enterprising locals investigated and found nearly $100 worth of gold stuck in the sinks’ traps and drains. The message? If you own or renovate an older house, be sure to look in sink traps. You could be in for a pleasant underwater discovery. And don’t forget that small gold items can end up in the underwater drains and filters of public and hotel swimming pools. Smart gold-hunters know that deposits of gold and gold-bearing sludge can be found in pipes that are (or were) attached to tanks where gold was plated onto other metals. So if you’re ever dismantling or renovating an old factory, be sure to investigate. If the building ever housed a company that made jewelry, eyeglass frames or other gold-filled items, you could find gold and be in for a bigger payday than you think. You remember the gold rush, right? It happened around 1849, when prospectors and panners headed to California and Alaska to look for deposits of gold. That sounds like ancient history, but hobbyists are still making money by pulling gold nuggets from streams. You can watch these gold-hunters in action in reality TV shows like Gold Rush, Yukon Gold and Fool’s Gold. No mistake about it – panning for gold is one hobby that could result in a nice big payday for you. If you look in the wet places we covered in today’s post and find something that could be gold, give our consultants a call. We will be happy to test your gold item for you, tell you what it is, and send you a check promptly if it is made of gold or other precious metals. Our experts are standing by for you at 800-426-2344.